The European Union is doing away with the twice-annual hourly changes commonly referred to as daylight savings. This is expected to save time and money across the continent, but critics say the move will usher in unnecessary chaos. 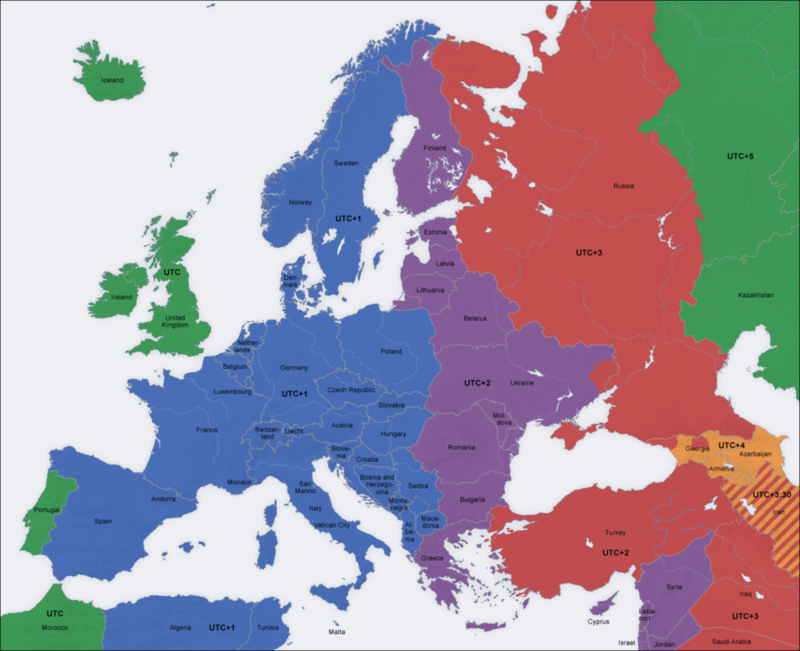 The different EU time zones. The decision will only impact countries within the European Union, not the entire continent. Daylight savings time (DST) is a long-debated topic, with both supporters and opponents — though the latter have become much more prevalent in recent years. Daylight savings time was first introduced in Europe during the World Wars and the oil crises of the 1970s, becoming law across the European bloc only in 1996. But recent studies suggest that DST actually loses energy, wastes a lot of time, and causes a swarm of unnecessary confusion events (for an in-depth explanation about the pros and cons of daylight savings, read our previous article). So the EU has increasingly zoomed in on this issue. After a public consultation which revealed overwhelming support against DST (around 80%), European Commissioner for Transport Violeta Bulc announced that as of October 2019, there will be no more time switching. Member states have until April 2019 to decide whether they want to remain on “summer time” or “winter time”. “In order to maintain a harmonised approach we are encouraging consultations at national levels to ensure a coordinated approach of all member states,” Bulc said. 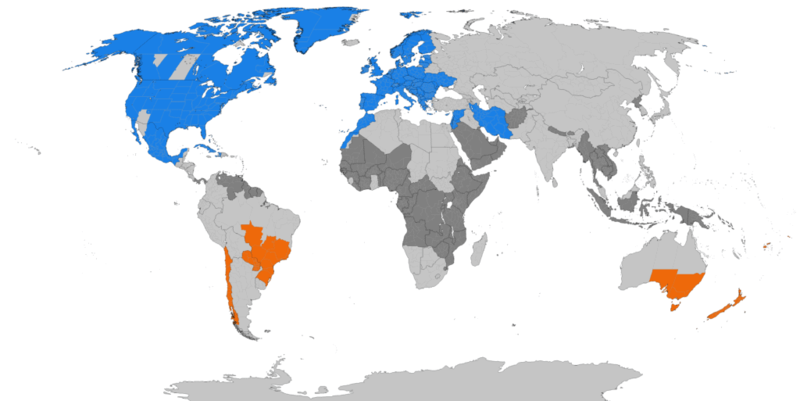 Blue: Northern hemisphere summer. Orange: Southern hemisphere summer. Light grey: formerly used daylight savings. Dark grey: never used daylight savings. Aside from actually causing problems, DST has all but lost its initial rationale — it was supposed to save energy especially in the form of lighting, but with more efficient LEDs and smart lighting sensors, any potential advantages have been nullified, while the problems associated with it have remained and even multiplied. “We are clearly headed toward smart cities, smart buildings and smart solutions which will bring much more savings than changes of the clock,” said Commission Vice-President Maros Sefcovic. Over 4.6 million answered the public consultation — most of them from Germany (around 3 million). The German Chancellor, Angela Merkel, acknowledged this and said that ditching daylight savings is a “very high priority“. This decision also highlights the advantages of having a bloc-wide decision — it would be nigh impossible to have an individual agreement between all countries about something like DST, but the European Union offers a mechanism through which that can be achieved. The science is against DST, the people are against DST, but sometimes, a political consensus can be very hard to reach.